Ozzy Osbourne says he and his son Jack have teamed up to produce a program for The History Channel. The rocker was asked about the project after being spotted doing some filming recently in the UK. 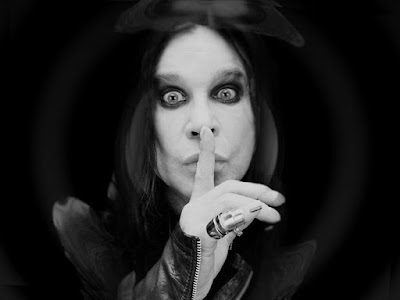 “Jack and I are doing a thing for the History Channel, like a father and son spoof on history,” Ozzy tells Billboard. “We went to Stonehenge and met a guy who thinks he's the reincarnation of King Arthur. And we went to Bletchley Park to see the machine Alan Turing used to break the German kind. Osbourne will join Black Sabbath for their 2016 farewell tour, with shows beginning January 20 in Omaha, NE before dates in Australia, New Zealand, Europe and a return to North America. Black Sabbath originally revealed plans to record a final album before the farewell run, but Osbourne says they’ve changed their schedule.